Now isn't that one of the cutest commercials you've ever seen? I am such a sucker for cute advertising and talking animals.....I think you know where this story is probably going......I had to have the deer on my recent trip to Pier1.....and I had to have his sister....and then I had to find a way to display them. Unfortunately, their mother was too expensive to purchase her, too. 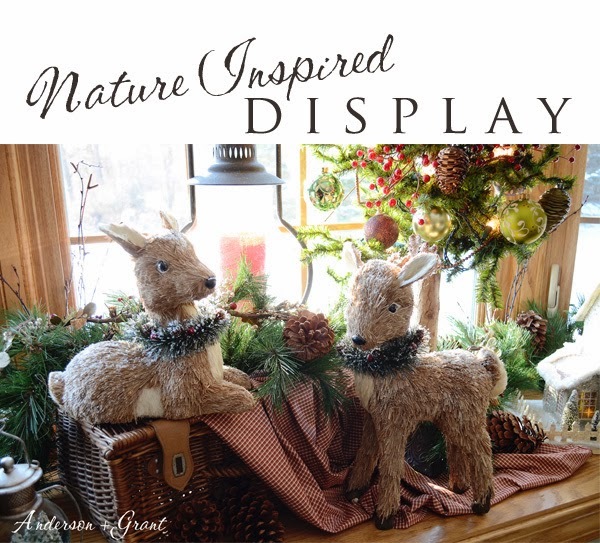 My nature inspired deer display looks perfect in the bay window in my living room. 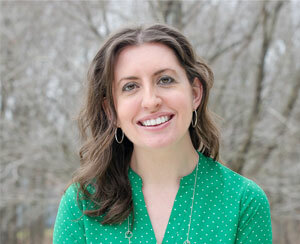 The problem is that while natural light is essential for good pictures, there can also be too much of a good thing. Almost all of my pictures are either too dark or way over-exposed. I tried taking pictures on two different days in both the morning and afternoon, but obviously there is just too much light coming in here. I did get a few pictures that are okay, though, so you'll get the basic idea of my display. 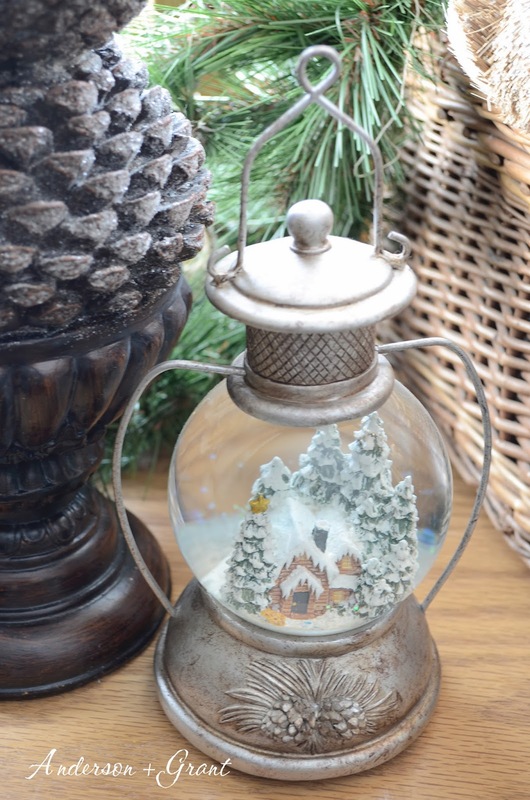 On the left of the display is a "tree" made to look like pinecones next to a little lantern snowglobe with a house inside. 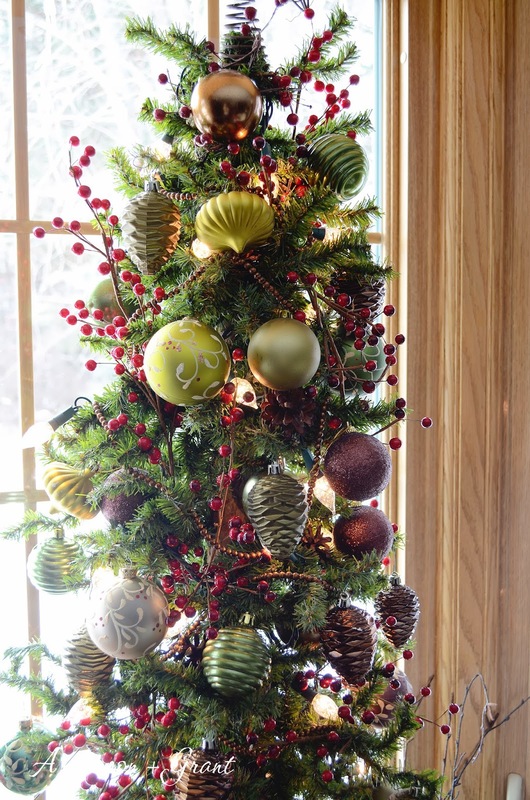 I decorated a small tree in brown and green ornaments. They are actually the ornaments I used on my Christmas tree last year. The tree also has a brown bead garland and berries tucked in. 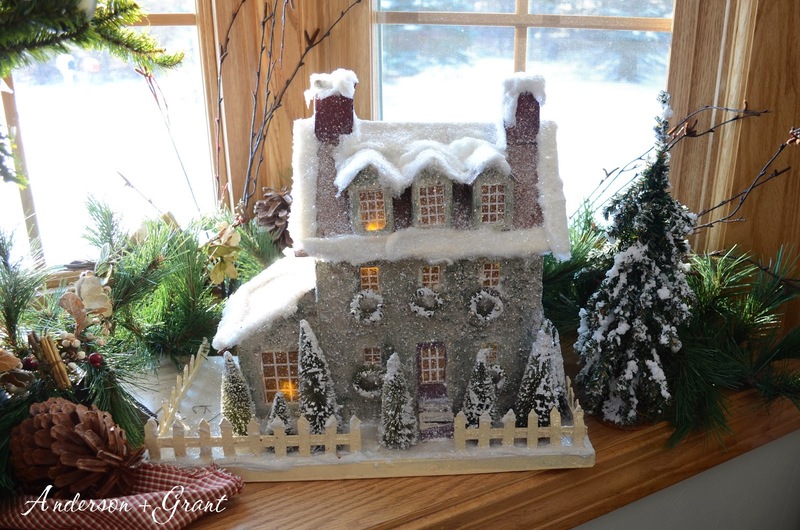 Beside the decorated tree is a reproduction Putz house and a little snowy tree. 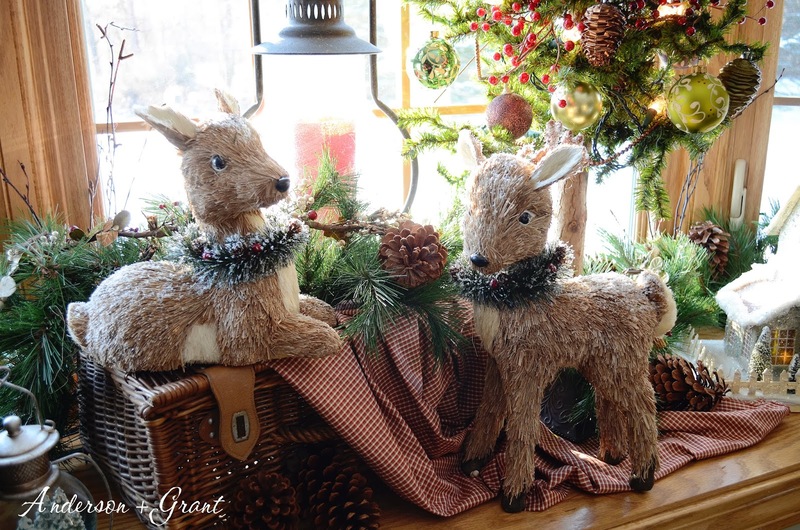 And of course, the centerpiece of the display is my little deer and his sister. They are displayed by a lantern holding a red beaded candle. 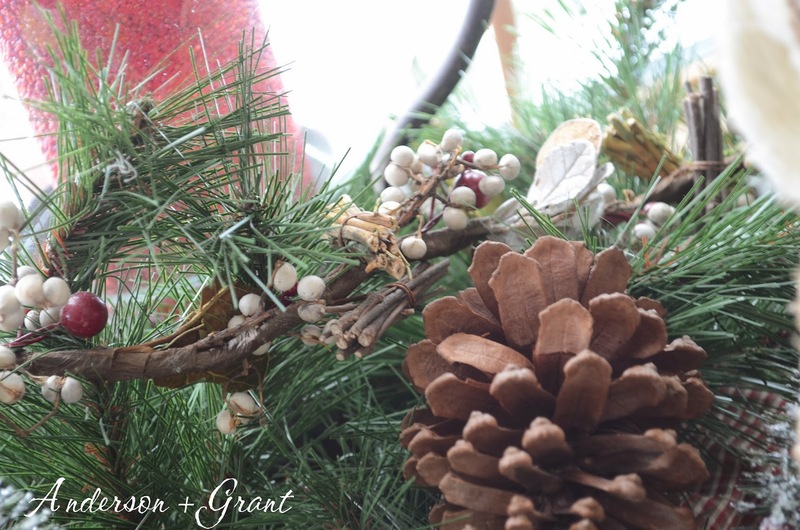 I tucked a long greenery into the display and laid another garland with berries and twigs on top of it. 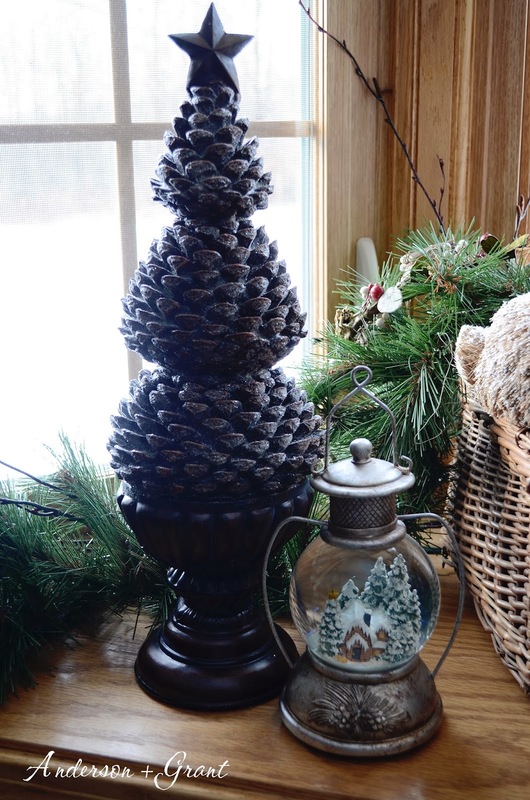 Then I added some branches and a few real pinecones to finish the display....Hmmm....I seem to be having as big of an obsession with pinecones as I am with mercury glass! 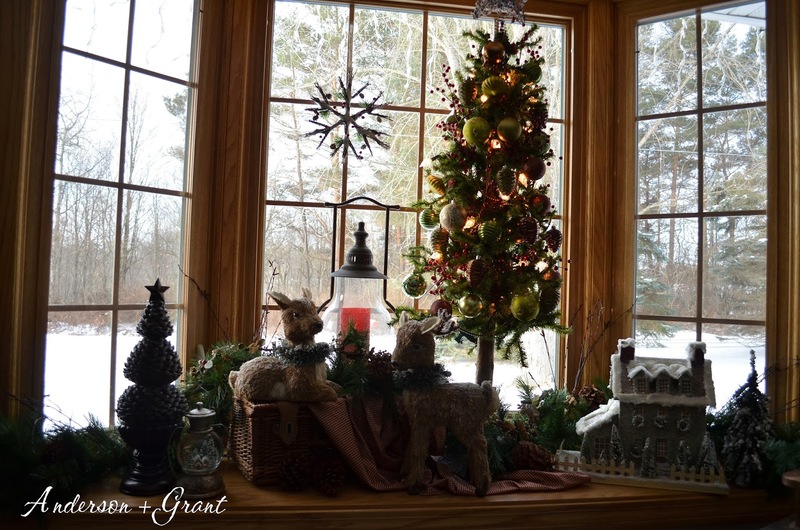 Repetition of the pinecones, red berries and snowy houses really makes the display balanced.